Currently viewing the tag: "ARRF"
Registration opens at 9:30am with the games kicking of at 10:00am. Each competition is $5 to enter and you may pick and choose the competitions you’d like to participate in. Of course, all proceeds go toward helping ARRF ensure every pet has a home! Roslyn is Going to the Dogs! 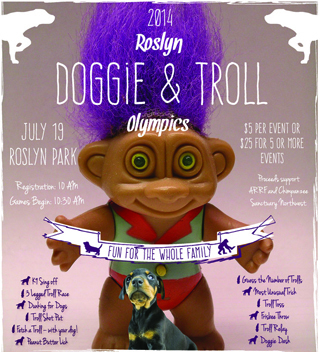 This weekend, Roslyn goes to the dogs! 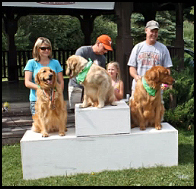 The ARRF Animal Rescue Doggie Olympics will be held Saturday July 11th at Runje Park. 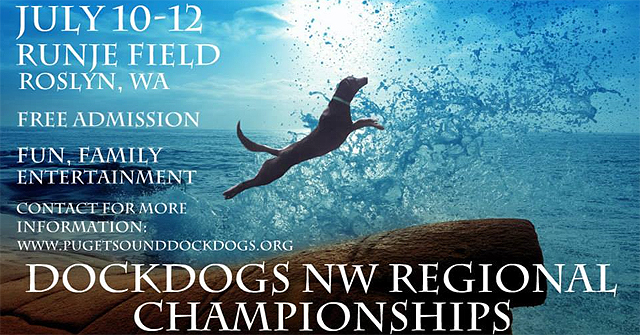 Roslyn will also be home to the Puget Sound Dock Dogs Northwest Regional Championships taking place Friday, Saturday and Sunday. 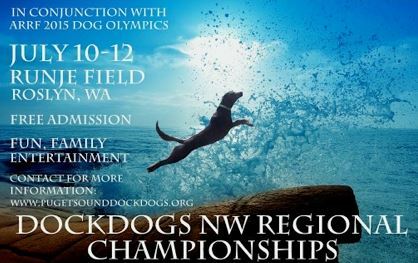 This young and unique, water based, doggy team sport consists of high jumps (Big Air), Long Jumps (Extreme Vertical), and speed competitions (Speed Retrieve). This is the first time these two events have ever happened together! 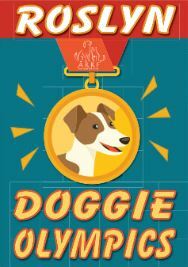 Dogs must already be registered to compete in the Dock Dog competition, but registration for the Doggie Olympics is open to all and starts at 9:30am with the games kicking of at 10:00am. Let the Games Begin with ARRF! Registration starts at 10am and the games begin at 10:30am. For more information, visit the RoslynOlympics.com. Learn more and RSVP for this year’s Olympics At RoslynOlympics.com. See what happened last year on the 2012 Roslyn Olympics site. As Easter Approaches, All Dogs Love to Hunt! The snowfall that greeted Roslyn residents on Saturday morning wasn’t enough to damper the Second Annual ARRF Doggie Easter Egg hunt. About 20 dogs showed up to participate in the costume contest and hunt for treats in the field just off of Pennsylvania Avenue. The event is a fun way to drive awareness around animal adoption and to help raise money to support ARRF’s commitment to the care and welfare of companion animals in Upper Kittitas County. Experience more of this event by viewing the brief video below.